The Buhari Media Organisation says the Peoples Democratic Party’s presidential candidate, Atiku Abubakar, has hired an American lobbyist for $90,000 monthly to be releasing fake news capable of threatening national security. It alleged that the slew of fake news, especially on social media, targeted at the Nigerian military was the handiwork of Atiku and his media organisation. The group stated that recent untrue claims of terrorists’ attacks on the military, desertion by police personnel, allegations of corruption scandals in the military hierarchy and the resurfacing of a 2014 claim by soldiers of lack of weaponry were sponsored fake news by the former vice president. 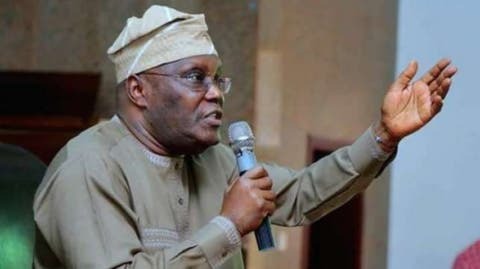 In a statement signed by Chairman, Niyi Akinsiju and the Secretary, Cassidy Madueke, BMO stated that the Atiku Abubakar Campaign Organisation resorted to sponsoring fake news when it had no campaign issues to bring forward. The statement said, “Atiku Abubakar’s desperation knows no bounds; his recent move to sponsor narrative through fake news that paint Nigeria’s security personnel as weak and incapable of carrying out their duties is an example of the PDP candidate’s desperation and lack of patriotism. The group stated that a recent report by an American firm making unbacked claims that the recently slain former Chief of Defence Staff, Air Vice Marshal Alex Badeh, was killed to hide corruption under the current Defence leadership was fake news and the handiwork of Mr Brian Ballard, the United States lobbyist Atiku procured at $90,000 a month. “It is shameful that a former vice president of Nigeria would procure the service of an American lobby firm to sponsor fake news aimed at attacking the morale and credibility of Nigeria’s armed forces. “In addition to this is the hiring of foreign trolls to man their online handles in a way that is against national interest. The aim is to destroy national institutions, including the INEC and cause confusion after realising that they had lost the contest even before the votes are cast. BMO also accused the PDP presidential candidate’s media handlers of lying when they claimed that President Buhari had a record of trafficking illicit funds.